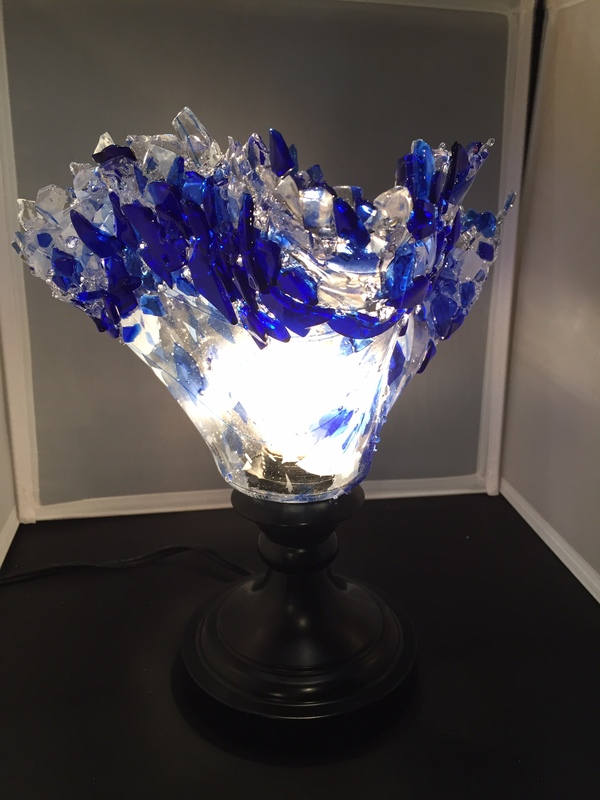 Beautiful blue, white and clear glass lamp made by slumping in the kiln to shape. Beautiful in any room. Approximately 10″ tall. This piece sells for $145. For more information please contact me at (713) 899-0933! 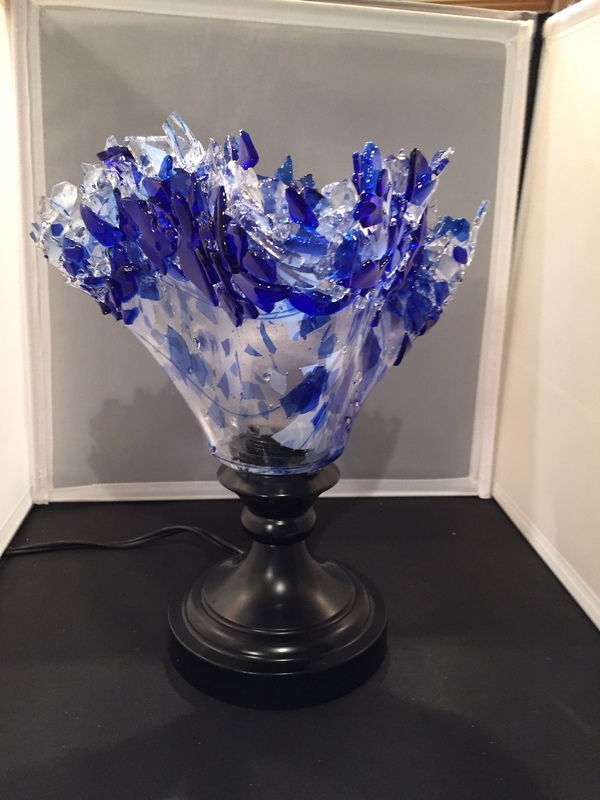 This entry was posted on October 27, 2015 by alliekayglass. It was filed under Lamps, Warm Glass and was tagged with Blue, clear, Lamp, white.